The Art Insider and Griffin Gallery are delighted to offer a series of professional development seminars for artists. This seminar has been developed by Trudie Stephenson of The Art Insider to provide the skills necessary to navigate more effectively in the commercial art world. It will help you to understand your industry, how to find opportunities, make money and how to sustain your practice. • How a career is developed and sales structure in implemented. • Who controls the market and how is it done. The Art Insider is a forward-thinking company providing bespoke mentoring, group seminars and a comprehensive range of associated services for visual artists. We are a friendly team of practicing visual arts specialists, dedicated to facilitating the professional development of artists and supporting the progression of studio practice. We provide artists with the knowledge, skills and confidence to navigate more successfully within the fine art industry. Art industry expert, Trudie Stephenson, founded The Art Insider in 2012. Trudie possesses more than 20 years professional experience as an exhibiting artist, director and project-manager of major exhibitions, curator and fine-art consultant. 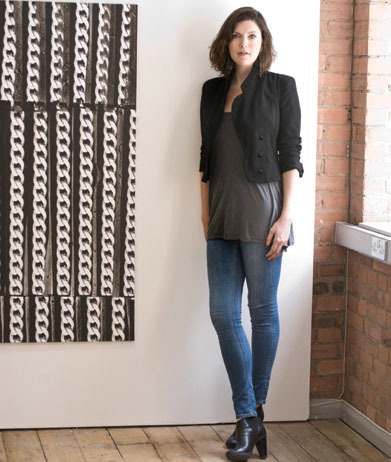 She has concurrently mentored both emerging and established artists for over 10 years. This cumulative experience has engendered a thorough understanding of the nature of working as an artist and provided the expertise required to enable artists to develop and sustain their practice at a commercial level. The Art Insider exists to bridge the gap between studio practice and successful commercial enterprise. VITRINE is divided across two locations in Bermondsey; the gallery was founded on Bermondsey Street in September 2012, following the growth of the Bermondsey Square space, since 2010. VITRINE Bermondsey Street represents a growing stable of international artists and presents solo, two-person and group exhibitions at VITRINE’s main gallery space. Presenting at Art Fairs and through Off-Site exhibitions internationally. Dedicated to working with artists across all media and focusing on cross-disciplinary practices; VITRINE is establishing a strong reputation as a selector and nurturer of new talent in London. We offer a bespoke seminar programme for artists, tailored to the specific needs of practising visual artists or those wishing to become practising visual artists.